Is there anything, anything, anything better than fresh blueberry and fresh corn season? Let me answer that: NO THERE IS NOT. 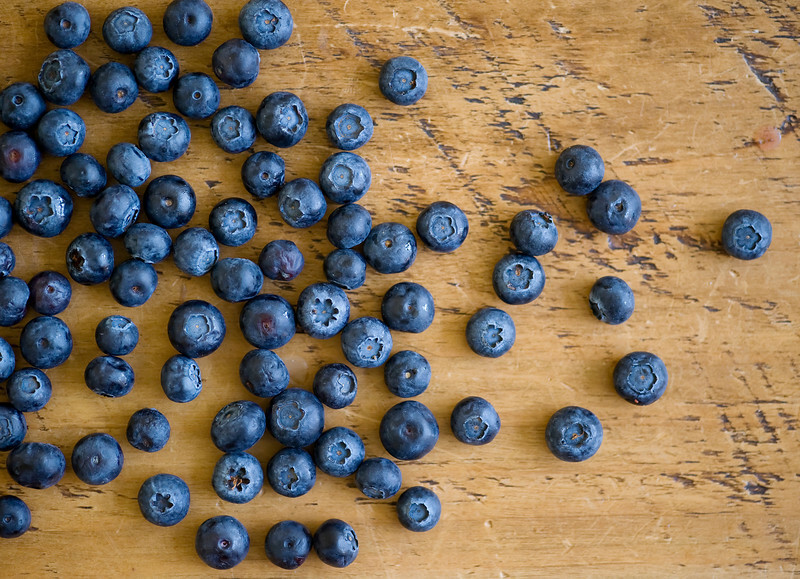 Sweet local blueberries, tender local corn…two great tastes that taste great together, and sure, you can and should make blueberry corn muffins with all of this deliciousness. But you should also make this blueberry corn muffin crisp, which has warm and wonderful blueberries on the bottom and a sweet crumbly topping made with cornmeal and fresh corn on the top. And you know what else you should do? Serve it for dinner. That’s right, pick out a lovely summer evening and serve your family dessert for dinner. Glorious blueberry and fresh corn dessert. Because it’s summer, because there are fresh corn and blueberries, because it’s good to keep ’em guessing. Let’s make it! I always toss whatever cooking plans I have out the window when the fresh blueberries, corn and tomatoes make their first appearance. (Those of you who know me well will find that hard to believe, but it’s true.) 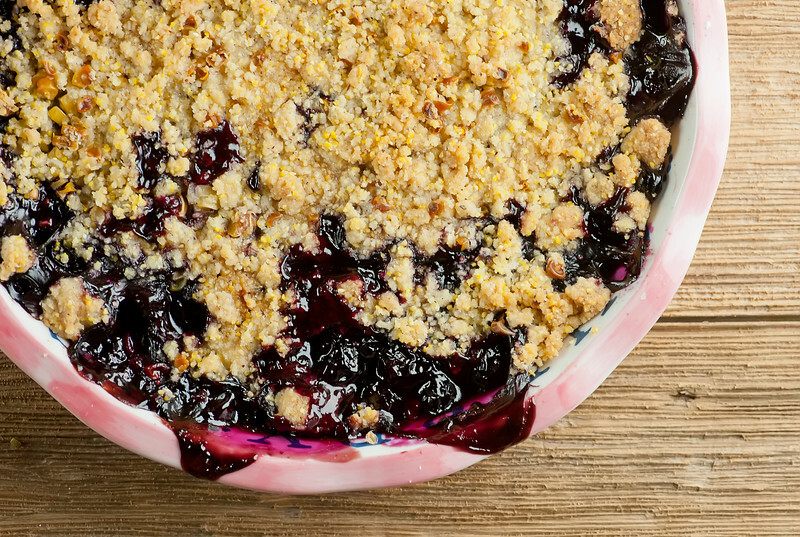 When it comes to blueberries in particular you have to take advantage of ’em, because blueberry season is fleeting. It’s a good idea to take advantage of ANYTHING that is fleeting. For example: when your adorable 7 year old nephew asks you if you can do a backbend. That question might not ever come your way again, and he has those big blue eyes, and so what do you do? YOU DO A BACKBEND. Props to my sis who thought fast and captured it on her phone so that I could be sure I didn’t just imagine the fact that I can still do a backbend. …golden, bubbly and perfect. Here comes the hardest part: let it cool for about 20 minutes before you scoop it out. I KNOW. But trust me, it’s going to taste better when the blueberries are not molten hot. And seriously….serve it for dinner. Don’t tell anyone beforehand. Carpe diem. 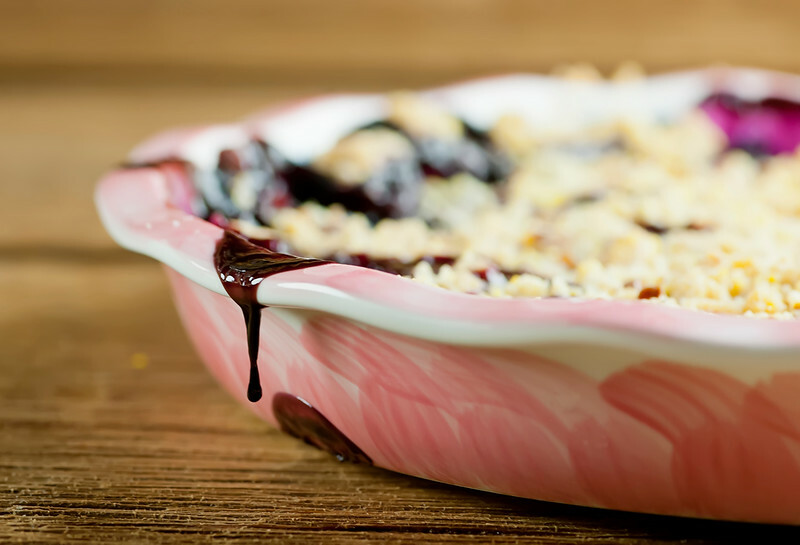 Mix blueberries, 1/4 cup sugar, cornstarch, lemon juice and zest together and put in a deep dish pie pan. Put flour, cornmeal, sugar, salt and butter into food processor. Process until cornmeal dough holds together. Stir in corn. Spread cornmeal mixture over blueberries. Bake for one hour. Cool 15-20 minutes and serve. I won’t hold it against you if you put a scoop of vanilla ice cream on top. Another winning recipe, Kate! Can’t wait to make it. I love blueberries and corn bread is always delicious. Thanks! Count me in for serving dessert for dinner! And props to you for doing a backbend! You’ve got one on me Kate! Not sure I could still do one! Can’t wait to try this crisp! Pinned! I totally agree…blueberry and corn season is the BEST! I’ve been buying lots of both lately and savoring every last bite. I am so intrigued by this recipe, Kate! Crisps are my favorite, so I’ve got to try this out! Pinned! I agree….have to take advantage of blueberry season while it lasts! And loving your suggestion to have this for dinner ;) So unique with the fresh corn in there. I bet it adds such a nice sweetness and texture. Pinning, of course! P.S. 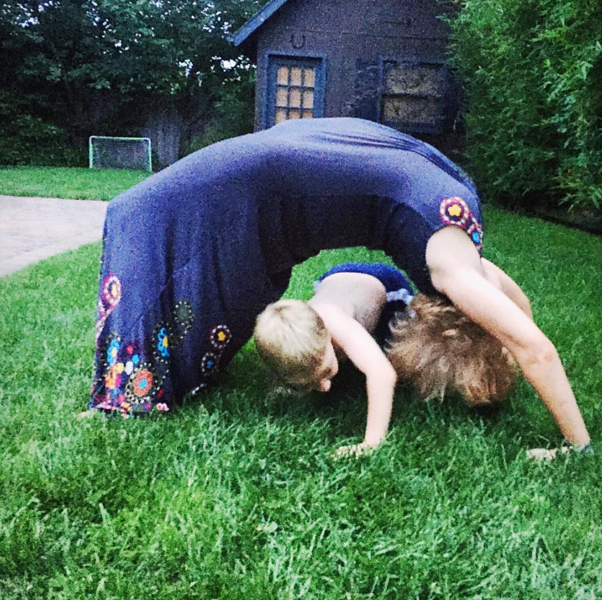 You must be quite the cool aunt doing a back bend like that…WOW girl…impressive!! I do yoga a lot and I’m hopping to get flexible enough to do backbends like that. It’s going to be a slow and steady project, though. ???? I am so intrigued by the cornmeal/corn topping on this. What a brilliant idea. It sounds amazing with blueberries. Aaaah! You can do a backbend! I was seriously impressed by the crisp, but I’m even more impressed by that. Your nephew must think you’re the coolest ever. And fresh fruit season is also the coolest ever. Such great fruit desserts this time of year! LOVE the drip action shot! love it almost as i love this whole idea and your execution of it. bravo! Yum, I am in love with this. Who hasn’t wanted dessert for dinner…very clever and I’m sure it is delicious.